The race in becoming the first company to reach the trillion dollar mark in terms of market capitalization is still ongoing. However, Amazon is a strong contender as its long-running market rally continues unabated. Thanks to a sharp rise in its company’s shares on Wednesday, Amazon became the world’s third most valuable company, overtaking Microsoft for the first time. Amazon shares surged by 2.6 percent on Wednesday—an increase of $36.54 a share in just a single day of trading. Closing at $1,451.05 per share, the online retail giant is now valued at $702.5 billion. Its market value went up by $17.69 from the previous day’s close. While Microsoft managed to post some gains on the same day, it was not enough to offset Amazon’s increase. The software giant’s stock rose by 1.6 percent or $1.40 per share, translating to an increase in total market cap by $10.78 billion. The company is now valued at $699.22 billion on Wednesday’s close. At the moment, only two companies are worth more the Amazon. Gadget maker Apple is still number one with a market valuation of $849.2 billion. Meanwhile, Google’s parent firm Alphabet is in the second spot currently valued at $746 billion. 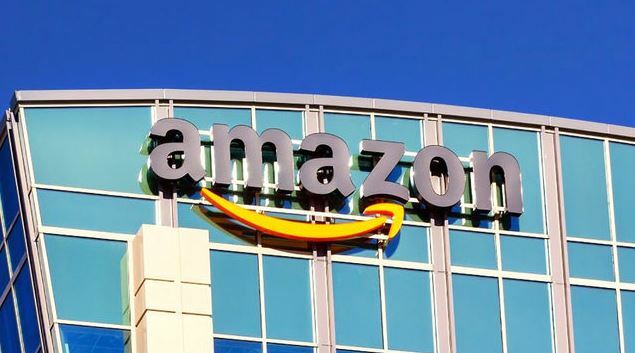 Amazon continues to dazzle investors and has managed to post a 73 percent increase in the past year. As a result, CEO Jeff Bezos overtook Microsoft co-founder Bill Gates as the world’s richest person. Microsoft’s 41 percent increase in the past 12 months was not enough to offset the online retailer’s meteoric rise.